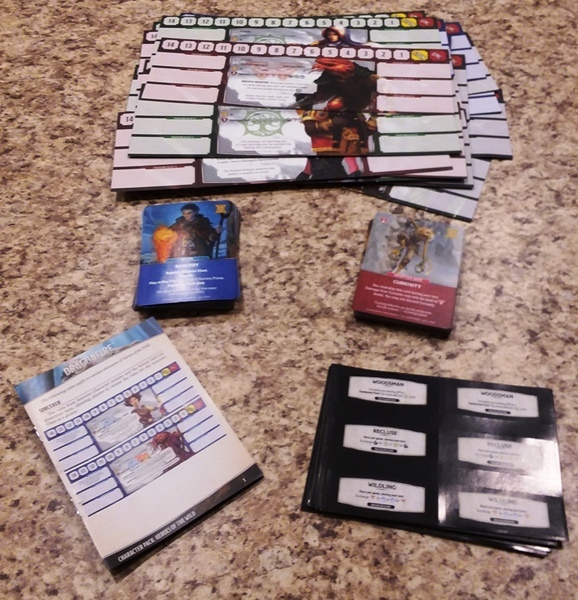 Heroes of the Wild is an expansion for the Dragonfire cooperative deck-builder card game, developed by Randall N. Bills, Loren L. Coleman, Talon Coleman, and Jay Schneider and published by Catalyst Game Labs. Heroes of the Wild is a character pack expansion for the Dragonfire cooperative adventure card, deck-building game from Catalyst Game Labs, set in the familiar Forgotten Realms of Dungeons & Dragons. It rounds-out the small expansion packs of the reviews already posted, and I state that particularly in a way that means it includes bits and pieces from the other expansions. Heroes of the Wild provides players with new ways to experience the Dragonfire game by offering over 30 new character screens which include races and classes introduced in other expansions, such as dragonborn, sorcerers, and barbarians. However, it doesn’t stop there; you also get new, very unique races such as lizardfolk, kobolds, aasimar, and a lot more plus new feature slot stickers to build-up those new character screens. While it includes classes from other expansions, it doesn’t leave you hanging or guessing and also includes any necessary rules and cards required to accommodate those classes. In other words, it is a standalone expansion that does not require any other expansion to play. From a replayability standpoint, this is a must-have expansion in my book. Playing the same game over and over and getting a slightly different experience may be fun, but doing it with completely different characters creates a much better experience! There is one major drawback (not really, but it sounds more dramatic)… space! 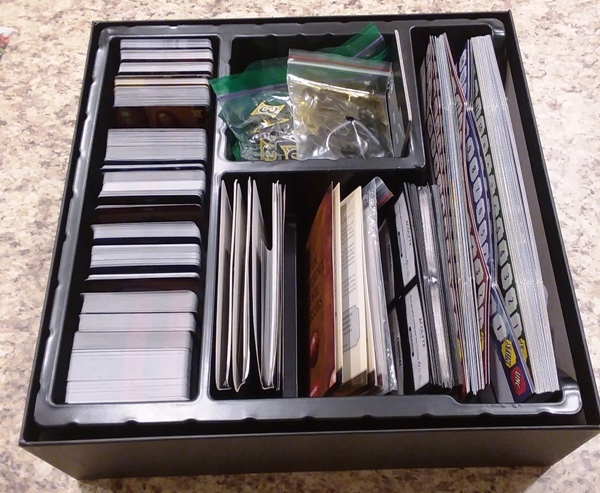 With the previously reviewed expansion packs and Heroes of the Wild, the box is quite full! Hours and hours and hours of fun are now packed into a single box!! !